You will add many Cheats: Infinite Health , Infinite Stamina , Infinite Oxygen , Unlimited Food and many more. Introducing the page of Apocanow dedicated to the trainer of Ark: Survival Evolved! In it we will explain how to install it and use it, in order to activate the tricks and unlock new parts of the game. We hope that at the end of the reading you will appreciate the work we have done, if you have any suggestions for this article, comment or contact us and we will update the page. Too little, we also have the Tricks of Ark: Survival Evolved! You can find them in the appropriate page of the tricks and codes of Ark: Survival Evolved of this site Inside the page there are paragraphs about the tricks and the unlockables of the game If you are stuck somewhere in the game, or you just want have more fun out of the rules, no way is better to consult the tricks we have collected for you. You are shipwrecked on the shores of a mysterious island called the ARK, you have to hunt, gather resources, create objects, grow, search technologies, and build shelters to support the weather conditions. 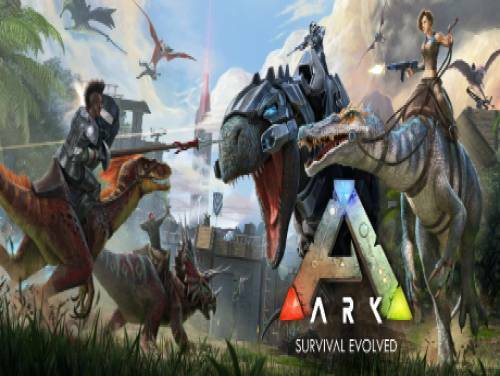 Use your wits and your resources to kill or tame and breed the gigantic dinosaurs and other primitive creatures that roam the island, and collaborates with (or hunt for) hundreds of other players who are fighting to survive, dominate... and run! The program you are about to download was not created by Apocanow. However, we have permission to publish and publicize by the authors of the Trainer Ark: Survival Evolved Trainer - v289.100+. The contents of the file are virus free, even if sometimes they can trigger the AV as false positive. On overview screen press hotkey to change your budget / reputation. If it doesn't work click on the 'Player' tab at the bottom first. This option works in all kind of races. your fuel, the more speed your vehicle gets. While active design parts are build instantly. While active the design parts have no build costs. Open the overview screen of a driver showing his stats. Open the overview screen of a mechanic showing his stats. While active build a HQ construction and pass one day and it's finished. While active upgrade a HQ construction and pass one day and it's finished. Press CTRL+H at any time to temporarily mute all hotkeys. Press again to unmute. You can change this hotkey in the trainer settings.